Check Out How You Can Walk On Water! Sploid is fast becoming one of our favorite websites and this little tidbit is definitely one of the reasons why! Check out this non-Newtonian fluid in a pool! Athos Tracks Muscle Output With Connected Workout Wear! $3.5 million from Social+Capital has enabled Athos to create connected workout clothing capable of tracking your muscle output among other things. When it comes to futuristic technology buildings are one of the most impressive mediums of displaying this type of technology. Today we're checking out a new bionic material that allows buildings to open and close like flowers that bloom. Flectofin is a material based upon the Bird of Paradise flower. The material has been around for approximately a year and just received the first ever Gips-Schüle Research Prize. What's the most effective weapon against a horde of mindless, brain-craving zombies? A flamethrower, obviously. 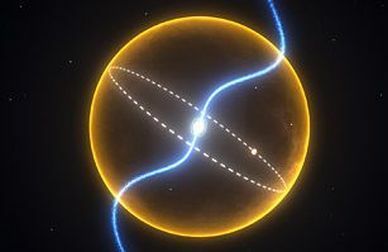 Twenty quadrillion miles away, scientists have discovered a diamond orbiting a star that's only fifteen miles across, but more massive than our sun. This star is spinning over 100 times per second, and the gigantic diamond orbiting around it is around the size of the planet Jupiter. Chemists at the University of California have discovered a way to modify ordinary cotton fabric so that it breaks down bacteria and toxins (like pesticide residue) when exposed to light.